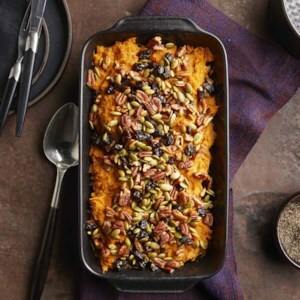 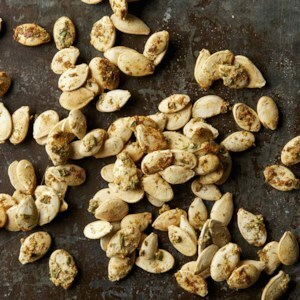 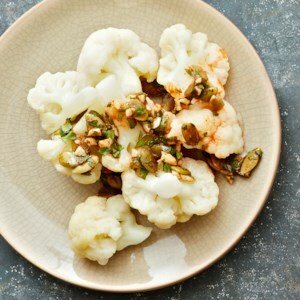 Find healthy, delicious pumpkin seed recipes, including recipes for roasted pumpkin seeds, granola, bread and more healthy recipes from the food and nutrition experts at EatingWell. 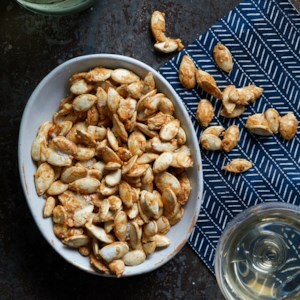 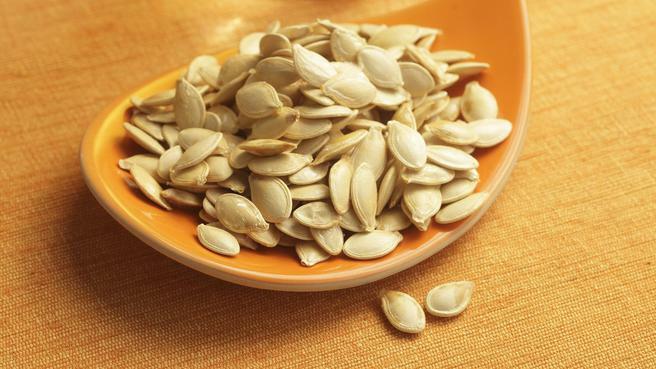 Roasting pumpkin seeds perfectly doesn’t have to be difficult. 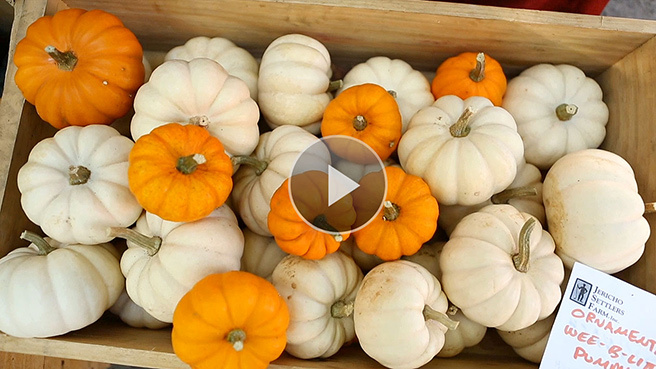 Here’s how to do it so that they come out great! 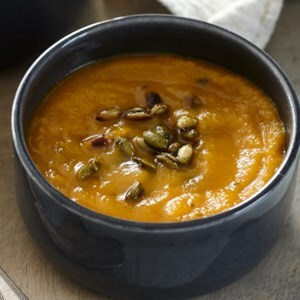 Take advantage of healthy convenience foods, such as pureed vegetable soups, to make a healthy meal in minutes. 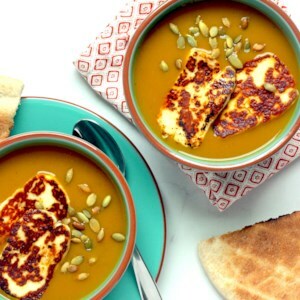 We enhance the flavor of boxed butternut squash soup with curry powder, then top it with irresistible halloumi cheese. 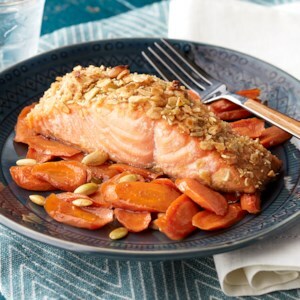 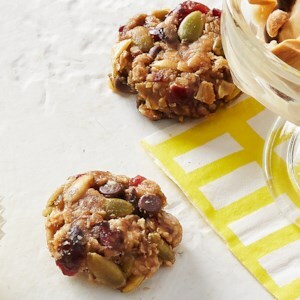 Serve with warm whole-grain pita bread. 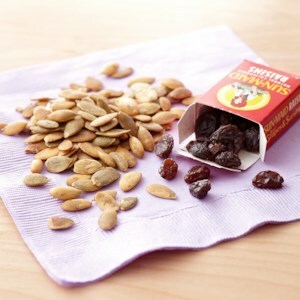 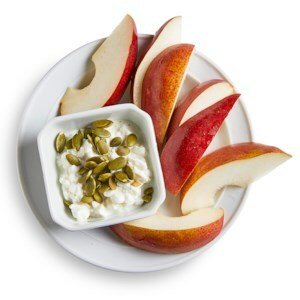 This healthful snack takes advantage of the pumpkin seeds you scoop out of your jack-o'-lantern or cooking pumpkin. 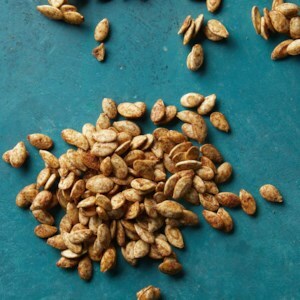 We had the best results when we first roasted the seeds until lightly toasted and then tossed them with egg white, which makes the seasonings stick, and cinnamon sugar. 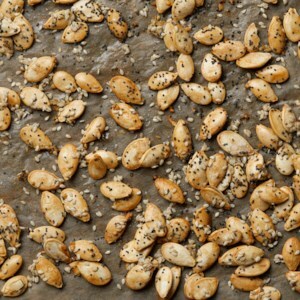 Making your own ranch dressing mix is easy to do and cuts down on sodium and eliminates additives. 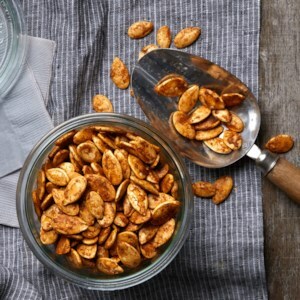 We replicate the distinctive flavor of ranch with buttermilk powder in this easy roasted pumpkin seed recipe. 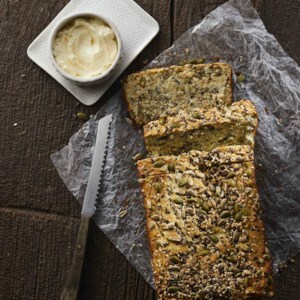 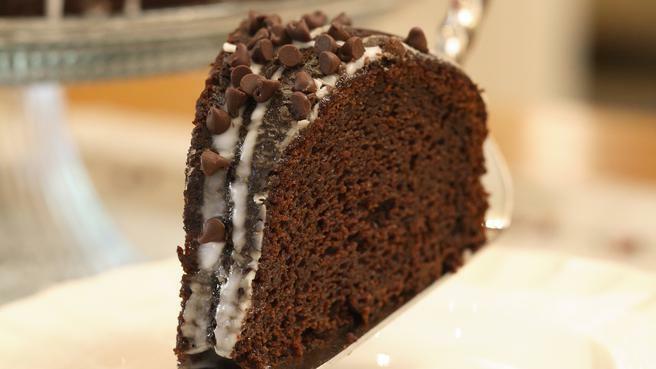 It's a convenient staple to have on hand for muffins and baked goods, too. 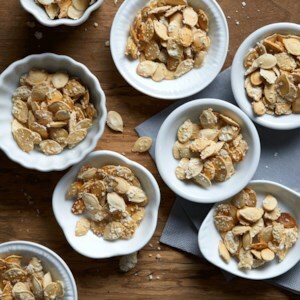 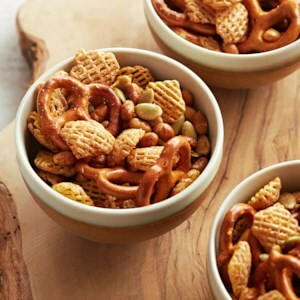 A nut-free take on trail mix, this snack is both sweet and savory. 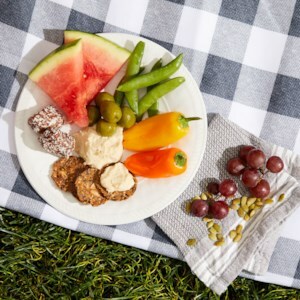 Fresh veggies with dip, juicy fruit and even a sweet treat make up this easy-to-make picnic dinner that's great for packing up or enjoying at home. 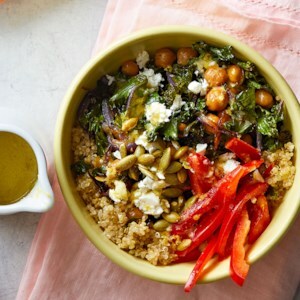 Plus, this combo excludes the most common allergens and food intolerances (it's free from dairy, eggs, soy, nuts and gluten) so just about everyone should be able to enjoy it without worrying. 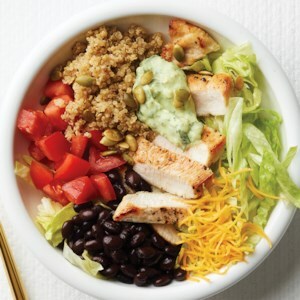 By leaving out the carb-heavy tortilla wrap, this chicken burrito bowl is made diabetic-friendly.